So I didn’t like my hair in the sense that I am just a curly girl, and the straight look I am just too over. So what is a girl to do? I got home from dinner last night and it was 10 pm. I snipped the threads out of my old Perfect Net Weave and threw that sucker on the couch. Then put on another one of my curlier ones. I was done taking my weave out, and putting another in by 10:32 PM. Needless to say I will never ever ever ever ever wear another full weave again. Just because of the time I saved……32 mins vs 5 to 6 hours. I am just way too spoiled. I’ve got to make another two or three this weekend. 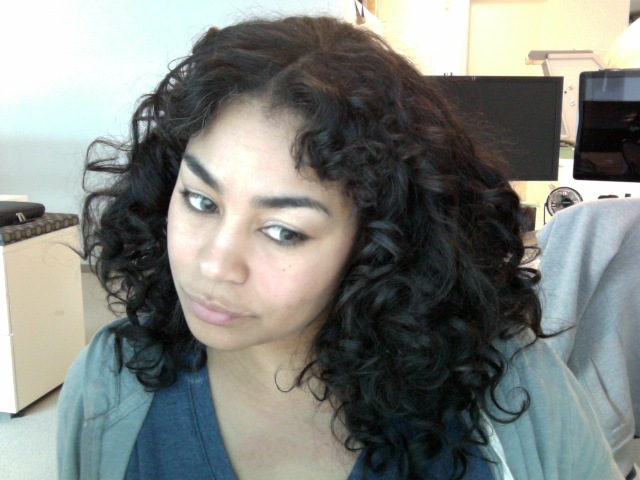 And I’m jazzed my curls are back:) To learn more about my Perfect Net System Click Here. Next Post Can you dye your extensions?